At home for the holidays (or any other time! 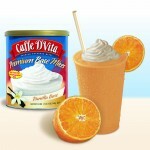 ), Caffe D’Vita’s Holiday Hoopla Smoothie is sure to be a favorite for peppermint candy fans of all ages. 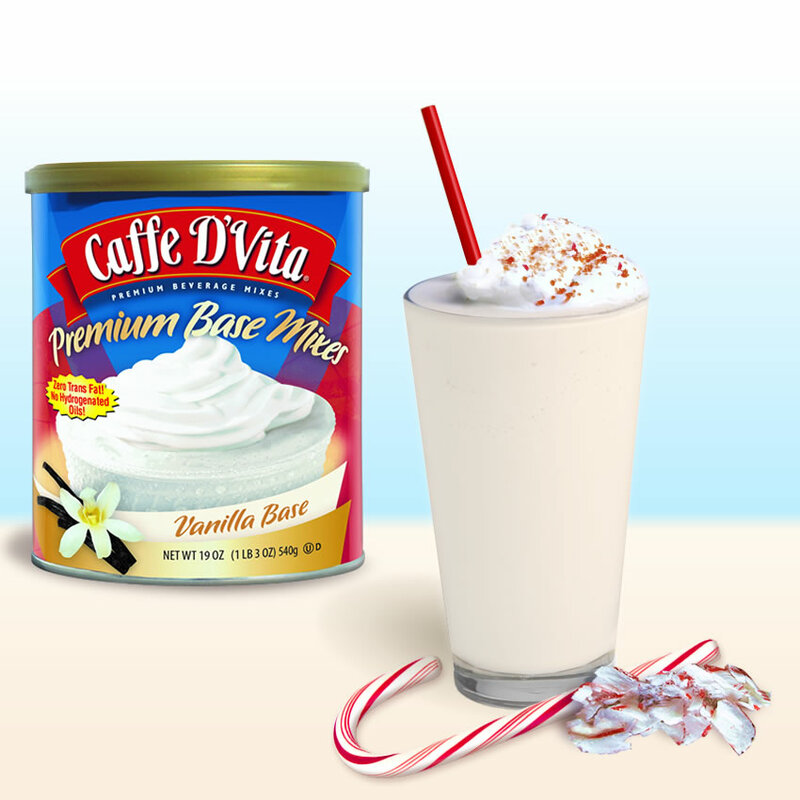 Liquid: Add 4 ounces of water, and 2 small candy canes. Big Finish: Top with whipped cream, and stick a small candy cane on top. 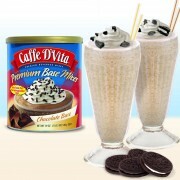 Also add crushed candy cane pieces on top of the whipped cream for even more flavor!